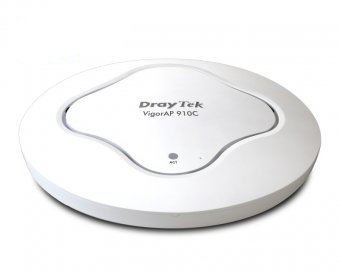 The Vigor AP910C is an access point that extends your current WIFI network. It's concealed design allows to blend into the ceiling that doesn't destroy the interior of the home. Great for places that are far from the main internet router such as guest living and dining areas also café's, restaurants and hotels . The AP910C does not require a separate power adapter so it is easy to be installed and can be powered through the internet wire itself. If combined with the Vigor routers, this access point can be managed from the router itself.